Johnny loves wings. LOVES wings! The hotter the better too. The problem is that other than me no one else in the family really cares for hot. With the super bowl coming around I knew I’d be making some but wanted to find a way to make some delicious wings that didn’t take a lot of time, weren’t hot, and tasted great. I finally came up with the perfect recipe and the best part was I skipped the oven and used my crock pot. This time of year the crock pot is my best friend and I like to use it any way I can. I’m finally glad to have a wings recipe I can use in it and now I just need to find a hot wings version I can throw in my smaller one while these are cooking so every one is happy. Add all ingredients in crock pot and cook on low for 8 hours or high for 4 hours. Use a baster to occasionally coat the chicken with the sauce but be careful stirring it up because as the wings will start to fall apart as they cook. I had no idea it would be this easy to make these! I am definitely making them this weekend! I make these but don’t add honey. Going to try it next time! hello how long to you put yours under the broiler? do you do it first or after? Oh YUM! Hubby would LOVE these! They look super easy too! 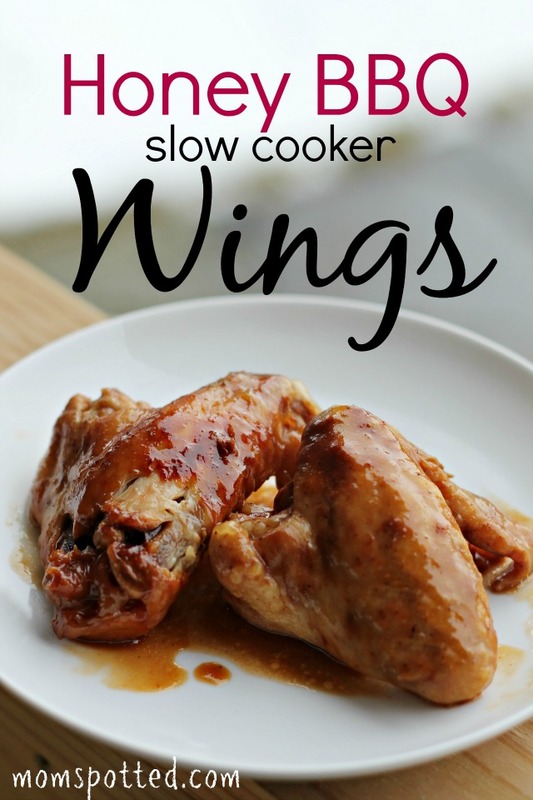 We love wings, barbequed or just as buffalo wings.. I’ve been looking for a slow cooker version, will be trying this soon ! I was just talking to the hubby about what to make and was craving wings, luckily i stumbled on your post! WE are going to be making this today!! YUMMY!!!! OK, those looks delicious! Definitely going to try this recipe! This looks so good. I like the “10 shakes” measurement! Works for me! LOL I don’t measure it so it’s the only way I really know how to measure it. That looks fantastic, Jennifer!!! So, so good! Yes please! These look so yummy and I bet my boys would just devour them! Oh yum! We haven’t had wings in forever. Those prepackaged ones aren’t very good either, but these look easy enough to make! We started making our own because we felt the same way! Mmmmm, these look tasty. People at our annual picnic will love these. Thank you! oh hubby would love these! I have a total weakness for Worcestershire sauce. It’s always been a favorite of mine but I’ve never considered adding it to wings with BBQ sauce! my hubby would totally love these. I never cook wings because I hate deep frying stuff but this I could do. LOL I don’t mind the mess, it’s the smell of deep frying chicken I can’t stand. We love wings. These sound delicous! 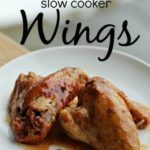 I am such a sucker for wings and if I can throw them in the slow cooker, even better! That sounds delicious! I pinned this, I am definitely going to try it! These look so good. I bet even my picky eater would go for them. I am confused by your cooking times… Is it suppose to say: High for 4 hours, and Low for 8 hours? These are cooked in a crockpot, most only have 2 settings- low & high. These look delicious! Wings are one of my special treats! looks really good, we love wings. I usually make a variety that has soy sauce, this would make a nice change. Ack! Yes, Sorry! Fixed! Thanks for the catch! This sounds yummy. Thank you for sharing your recipe with us. These chicken wings look so good and what an easy recipe. I think my family is going to love these. Can I use frozen party wings? This look so good and easy, but one of my biggest problems is that I tend to overcook in the slow cooker. As a result, my wings don’t look like the picture, because they’re falling apart. While they taste fine, they don’t make a great presentation. These were fresh wings in a 7 qt crockpot. Did you use big chicken wings or winglets? I have made these many times any I have done both. I will definitely have to try this recipe! Simple and easy. Thanks for sharing! Oh these look so good and easy to make! My family loves wings..I am going to have to try this! Thanks!!! This is a very mice fall recipe. I am going to make this for this next coming weekend while watching football. Can you slow cook them frozen? My family loves wings. I never knew you could make them in the slow cooker. Definitely trying this recipe. These wings look amazing! 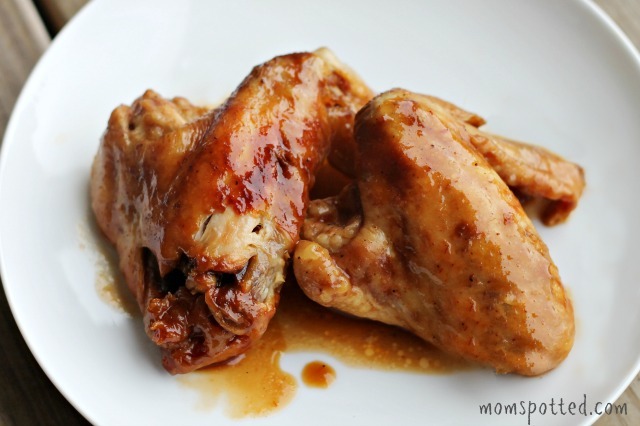 I would love to make these for my hubby, who loves wings! Hi Jennifer! I just wanted to let you know that I tried your recipe, and I loved it so much that I am sharing it on my Youtube channel as part of a collab! 😀 Thank you so much for sharing this recipe!